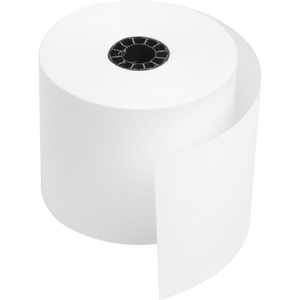 Calculator/receipt roll features a single-ply bond to produce crisp, clear print results. End-of-roll indicator conveniently lets you know when it's almost time to replace the roll to prevent unexpected runout. Easy-to-install design allows simple roll replacement to save you valuable time when changing your depleted roll.